Good quality and functional design unite at M1 Mini Sumo Robot Chassis. The rigid structure provides more powerfull robot. 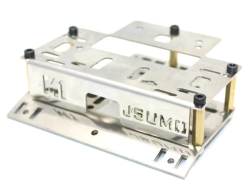 Bottom plate made from 2 mm stainless steel and bent at 20 degrees down for attaching blades. 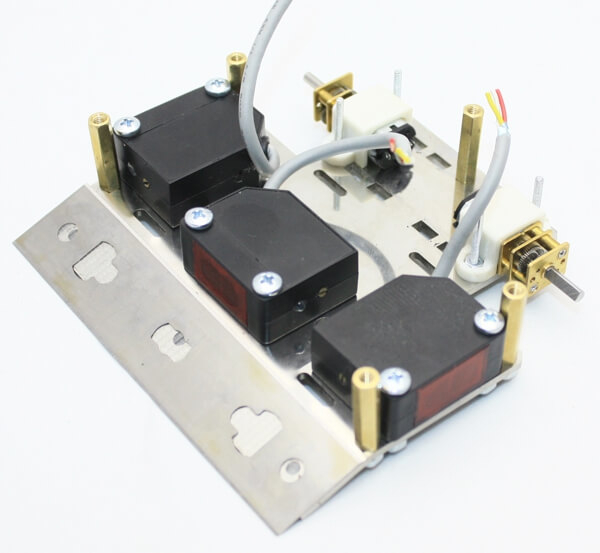 The upper plate is perfect for securing sensors and attaching robot controller boards. Besides, upper plate has a gap at center for attaching lipo batteries. You can place 3S or 2S 350, 400 or 500 mah batteries inside. Supports lots of different robot boards with lots of holes and slots. All slots are cutted with 3,3 milimeter width. 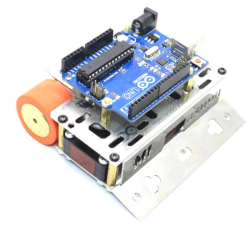 Very easy to attach your board with standart M3 size screws. 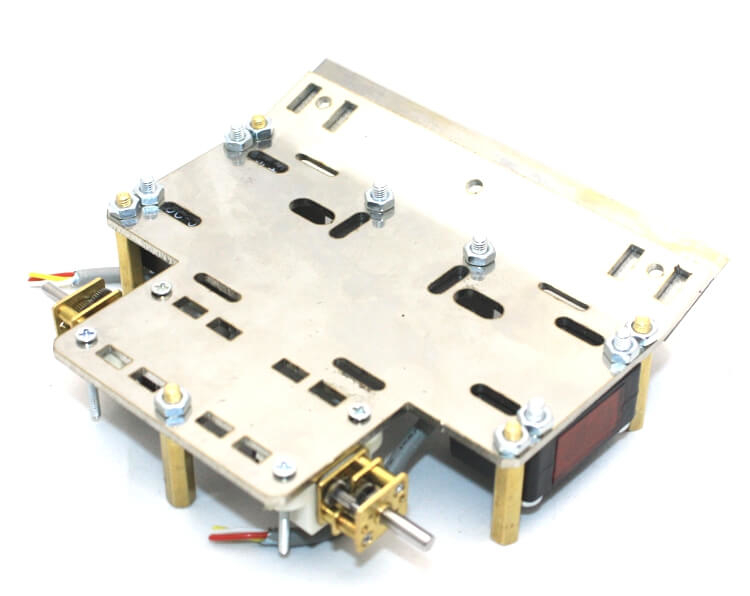 Suitable with all 12mm, 15mm,16mm dimater DC gearbox motors. Also suitable with Pololu or DFRobot 12mm motor brackets. We designed that model for functionality and victory. What will you need more for that warrior mini sumo?